Galaxy Entertainment Group Ltd will launch, probably in late June, a new luxury area for high spending gamblers akin to the best facilities it has previously offered VIP gamblers – with the important difference that the new zone is for cash play. Such play will provide a better margin for the house than would credit-based gambling using dead chips by players managed either by the house or by Macau’s junket promoters, a company executive told GGRAsia. Sky 88 will be in the new Ritz-Carlton hotel tower at the firm’s HKD19.6-billion (US$2.5-billion) Galaxy Macau Phase 2, which had its official launch on May 27. “We believe the quality of the 250 all-suites Ritz is one-notch above the best hotels in Cotai (e.g. Banyan Tree in [Galaxy Macau] Phase 1), and could be a key attraction for high-end players,” said Anthony Wong and Angus Chan of UBS AG in a note on the day of Galaxy Macau Phase 2’s opening. “This is a premium mass product that will supersede by some margin any other product in Macau,” Kevin Clayton, Galaxy Entertainment’s chief marketing officer told GGRAsia referring to the gaming operation at Sky 88. “What we are talking about at Sky 88 is luxury gaming on a cash play basis,” the executive explained. The actual business margin would be better than that obtained from what the firm terms its “premium direct” and “rolling chip” programmes – i.e. credit-based customers either managed directly by the house or arriving via junket partners – added the executive. “It came from a huge amount of research among the customers,” he told us, adding that the firm was running a simulation of the Sky 88 customer care operation prior to getting final regulatory approval for the gaming operation. It will include private dining and butler services for what Galaxy Entertainment terms its Diamond tier of customers. Mr Clayton didn’t specify a minimum amount of gambling spend in order for customers to qualify for its Diamond tier of membership and thus for entry to Sky 88. “When they are recognised as being top tier players, which is a function of spend, or frequency of visit – or a number of other factors – they will be invited into the Diamond tier, and as part of that invitation they will also have access to Sky 88,” Mr Clayton said. Bloomberg News reported in February 2014 that VIP players at Sky 33, a luxury VIP gaming area located in Galaxy Macau Phase 1, had at that time to guarantee a minimum roll of RMB10 million (US$1.6 million) in so-called ‘dead’ or rolling chips that can only be exchanged for cash on player wins. But the Macau market has changed radically since mid-2014, with consecutive monthly year-on-year declines in gross gaming revenue. Investment analysts say important factors in the decline include a ramping up of China’s anti-corruption drive, credit-based players seeking extended time to repay their losses, and a slowing of the mainland economy. Vitaly Umansky, senior research analyst of global gaming for Sanford C. Bernstein Hong Kong Ltd, noted during a conference panel at Global Gaming Expo (G2E) Asia in Macau last week, that such factors have had a negative effect on the capital liquidity of Macau’s junkets – the traditional promoters of high end play. Weaker junket liquidity in turn affects the ability of junkets to fund fresh play by extending credit and had helped to push some smaller junkets out of the Macau market. Praveen Choudhary, managing director of Morgan Stanley Asia Ltd, said during the same G2E Asia panel, that his firm’s research indicated that Suncity Group Ltd had gone from a 15 percent share of Macau VIP roll last year to a 30 percent share this year, with the top five Macau junket investors going from 50 percent of the roll a year ago to between 60 percent and 70 percent now. According to a note on Tuesday from Grant Govertsen and Felicity Chiang of Union Gaming Research Macau Ltd, three of what some analysts regard as the surviving ‘Big Five’ Macau VIP junkets will have a presence at Galaxy Macau Phase 2. Suncity and Tak Chun Group are already confirmed with 16 tables each, while another promoter referred to as AG is also expected to have 16, said the research house. Galaxy Entertainment’s self-managed VIP operation, Jinmen Premium Club, will operate about 24 VIP tables in Phase 2, added Union Gaming. The casino operator has received 150 new-to-market live gaming tables from the Macau government, with about 75 percent of the new inventory being allocated to the mass market, Richard Longhurst, director of operations at Galaxy Macau, said on Monday. 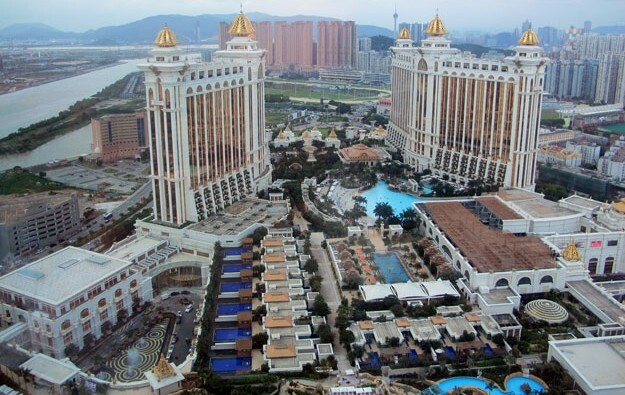 The executive added that Galaxy Macau Phase 2 would open “with over 200 gaming tables”. A neighbouring mass market property refurbished for HKD5 billion – rebranded Broadway at Galaxy Macau and containing a 3,000-seater theatre – also opened on May 27. Richard Huang and Stella Xing, analysts at Japanese brokerage Nomura said in a note this week: “We estimate that Galaxy Phase 2, together with the other five integrated resorts opening in the next two to three years, to bring about a 3x increase in [entertainment] shows and 4x increase in non-gaming attractions, which we believe is critical to Macau’s transformation into a global tourist destination.” That’s a reference to the Macau government’s plan – egged on by Beijing – to diversify Macau’s economy from a dependence on gambling.